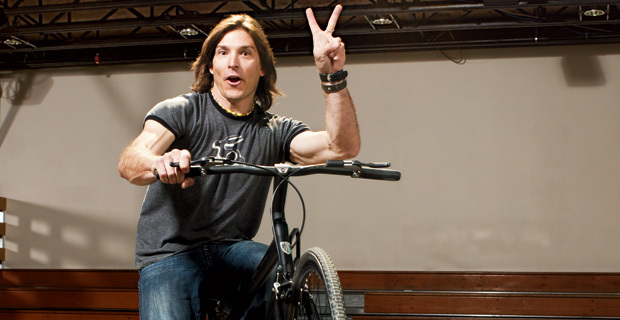 Alex Bogusky tells us he’s done with advertising for good. The big question for Crispin now is how well its 1,000 employees will do now that their old leader–a solo pop superstar–has been replaced by a big band. Let’s meet the members of that band. The big question for Crispin now is how well it’s one thousand employees will do now that their old leader–a solo pop superstar–has been replaced by a big band. Let’s meet the members of that band. him as a contributor, but it’s not like it leaves a hole.” Right. since they were 12, and are rumored to be rivals. Jeff Steinhour: Crispin’s Boulder outpost is not the first stint in Colorado for the agency’s Director of Content Management–he graduated high school in Denver. But Steinhour, who joined Crispin in 1992 and became partner within five years, never fully committed to Boulder with anything like Bogusky’s zeal for the place; he and his family spend their summer months in Boulder, and the rest of the year in Miami. When I interviewed him back in 2008, he told me that when there was disagreement among the agency’s then four partners, their philosophy was pretty simple: “We keep it away from the kids. We always try to not let financial and things I would say that give people pause get in the way of trying to develop and produce great ideas. We try to not make them employees problems.” While superficially Steinhour and Bogusky had little in common–“Alex has a very different set of hobbies. I don’t do motocross, but I like doing a lot of stuff he likes to do, I bike, I hike,” he told me–Steinhour’s interests are still most aligned with his current partner, Hicks. “Jeff likes the water, he’s a big fisherman, diver, hanging out on islands, in boats,” Steinhour says, “I go fishing with him all the time.” I’d gamble on Crispin’s Sunshine State office growing post-Bogusky. notorious account, and partial mastermind of the King. Account Director, a role she shares with Heather Faunce. Heather Faunce: Like Bowles, Faunce is a group account director. Faunce came from Leagas Delaney, and has worked with hot clients like Virgin Atlantic. She’s also been part of the team working with Microsoft, the account that helped put Crispin on the cover of Fast Company back in 2008.
throughout our history that he also could design his exit the entire time.